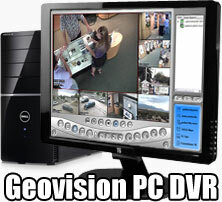 Our GV-1240 Series Geovision Card and Software Turns Your PC Into A Multi-Camera DVR! Easy to Install! Free Lifetime Tech Support! Free Software Upgrades! How Fast Is 30 Frames Per Second? Saves Memory and Makes Playback Easy! *Just Add Hard Drives to Add Weeks, Months of Extra Storage! *Use Our Hard Drive Storage Calculator to Estimate Your Storage Time! Over 100 Other Features and Capabilities! For More Info, Click the "DETAILS" Tab at the Top of the Page! -Watch Our Showroom Cameras Live from our Location in Colorado Springs! -Take Live Control Over Our Movable, Pan Tilt Zoom Cameras! -Operate our Advanced On/Off Relay Demo! Need a complete system with included cameras? 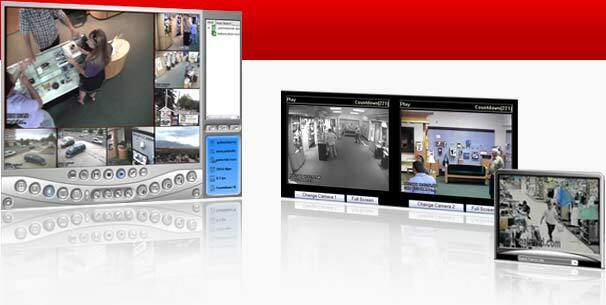 We have complete turn-key Home or Business Camera Systems ready to ship today! Our clearance/closeout items vary in quantitly available. Before you order, please call us in order to ensure your item is in stock and available to sell.